Sensible Choice brand cat food is marketed by the Royal Canin company. The Royal Canin company was first founded in 1967 in Gard, France. The original founder was Jean Cathary, a veterinary surgeon. Today, the headquarters of the Royal Canin company are located in Aimargues, France. In 2002, Royal Canin was taken over by the Mars/Masterfood group. In 2006, Royal Canin reported having 3,200 employees, 70% of which are located outside of France. The production operations of Royal Canin are located in France, South Africa, the United States, Brazil, Argentina, Russia, and in the United Kingdom. In the 2007 pet food recalls, Royal Canin recalled eight varieties of Sensible Choice, though no Sensible choice products are currently listed on the FDA's pet food recall list. Sensible Choice brand cat food formulas have been subject to a lot of debate, as they have been associated with Royal Canin. Though there are currently no Sensible Choice brand cat food formulas on the recall list, many people still believe that their food formulas are fairly low quality. Sensible Choice brand cat food is not corn-free, and also contains rice ingredients. The first ingredient in all Sensible Choice formulas is Chicken meal, which is a protein-based ingredient. All of the Sensible Choice brand cat food products are available in a small 3.5lb bag, a 7lb bag, and a large 15lb bag. Sensible Choice Cat Food – Premium dry cat food formula is suitable for all adult cats over one year of age. The first five ingredients of this formula are Chicken meal, brewers rice, brown rice, chicken fat and corn gluten meal. Other ingredients include rice hulls, beet pulp, potassium chloride, taurine, choline chloride, sodium bisulfate and natural flavors. The Guaranteed Analysis of this formula contains 30% Protein. Sensible Choice Cat Food – Senior & Reduced Calorie dry cat food formula is suitable for senior cats over seven years of age who require a reduced calorie diet. The first five ingredients of this formula are Chicken meal, brewers rice, brown rice, chicken fat and corn gluten meal. Other ingredients include beet pulp, dried egg product, rice hulls, potassium chloride, taurine, natural flavors and choline chloride. The Guaranteed Analysis of this formula contains 26% Protein. Sensible Choice Kitten Food dry cat food formula is designed for kittens under one year of age, though can also be fed to pregnant or nursing adult cats. The first five ingredients of this formula are Chicken meal, brown rice, chicken fat, corn gluten meal and brewers rice. Other ingredients include dried egg product, rice hulls, beet pulp, natural flavors, niacin and riboflavin. The Guaranteed Analysis of this formula contains 33% Protein and 20% Fat. Sensible Choice Cat Food – Reduced Calorie dry cat food formula is designed for cats the require a diet lower in calories, or cats that may be overweight. The first five ingredients of this formula are Chicken meal, brown rice, corn gluten meal, oatmeal and rice hulls. Other ingredients include beet pulp, brewer's rice, chicken fat, natural flavors, dried egg product, biotin and riboflavin. The Guaranteed Analysis of this formula contains 32% Protein and 9% Fat. Sensible Choice brand cat food is fairly hard to find, as it does not have a dedicated website. Some consumers report good results with Sensible Choice brand cat food, while others complain about the quality of the food associated with Royal Canin. 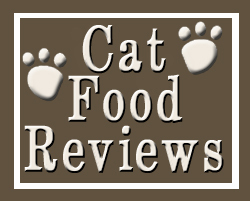 The main complaint among most reviewers was the lack of availability of Sensible Choice brand cat food formulas.